This is the latest in a series of The Planning Department articles that suggest ways to organize a school-wide literacy event around a single book title. How Do Themes Facilitate Learning? For the last five years our elementary school has chosen an integrated approach to our September start-up routines. We begin by choosing a book that highlights the goals and/or skills that we want to focus on at that time of the year, and build a theme around it. 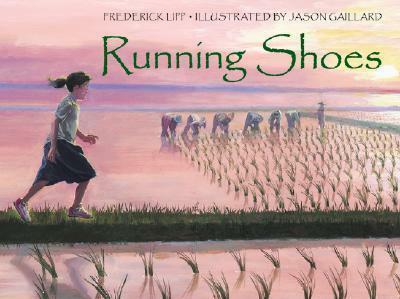 This year we chose Running Shoes by Frederick Lipp. This beautifully illustrated book tells the story of a young Cambodian girl whose secret wish is to own a pair of running shoes so that she can go to the school in the next village. During his annual visit, the census taker notices Sophy staring at the running shoes he is wearing. When he realizes her predicament, he has her stand in the mud of the riverbank and measures her footprint. The following month a package arrives for her—the treasured running shoes. The determined young girl rises early and runs the eight kilometres to school every day. Despite all odds (including the fact that she is the only girl in the one-room school) she learns to read. Thank you for the running shoes. Now I can read and write. “What?” the number man asked. “I want to be the teacher,” Sophy said, smiling and wiggling her toes in the mud. What is your special wish? What skills and talents do you have? What are you good at? How will you achieve your dream? Guest speakers, Adrianne Dartnall and Rick Lennert (With funds donated by individuals, families and schools, Rick and Adrianne assist children and families in Southeast Asia with basic needs such as housing, education and support. For more information, see the article “Canadians Bring Help to Asia” in the May 2010 issue of CTM available at www.canadianteachermagazine.com or visit www.kidsdevelopmentsociety.org). Students were placed in grade groups each day but were not assigned to permanent classes until Friday afternoon (this is a standard policy at our school as the school population changes so much over the summer). Each student engaged in Before Reading activities with the teacher they were with that day. All students were now placed with their classroom teachers. Various During Reading and After Reading activities took place, depending on the grade level. Each grade group had a half hour visit with Adrianne and Rick. The four lessons that we planned for the first week focussed on making predictions. The students knew nothing about the story at this point and we wanted to tap into their prior knowledge and experiences to think about what the story might be about. 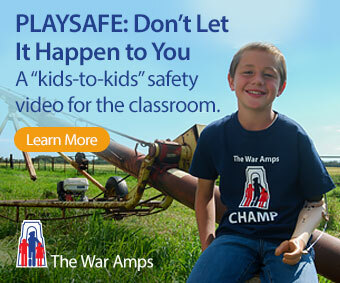 Here is one of the lessons. 1. To sort and graph the class footwear. 2. To make a meaningful prediction based on an artifact. Part One: Sorting the class footwear and graphing the results. 1. Have the students sit in a circle and remove one shoe. 2. Place all of the shoes in the middle of the circle. 4. Tally the results on the chalkboard. 5. Record the results on a large class graph. 6. Have students return to their seats and guide them to record the results on their own bar graphs. Part Two: Making a meaningful prediction based on an artifact. 1. Partner share: based on the graphing activity what do you think the story will be about? 2. After the students discuss their ideas, have them decide if they need to change their original prediction or will it remain the same? 3. Group share: Have partners report out to the larger group.